test IO’s self-service testing platform gives you the power of the crowd to make your QA testing more efficient and more comprehensive. Increase QA capacity with more than 20,000 professional testers available on-demand around the world for exploratory and test case-driven testing. Uncover bugs and get the details and context to build better software and ship faster. test IO integrates with your existing software development processes, whether you're making websites or mobile apps. Make sure your software works in the real world. test IO’s crowd checks your app or your website on real devices out in real world conditions. Your app needs to work out in the wild, so it should be tested out there too. It is easy to set up a test. Customer success managers keep improving your test cycles, and you get nearly instant feedback on your software and how it performs overall. Combination of explorative tests and test cases is great to get a high coverage. You have to work with the tool to avoid duplicates and stuff. Sometimes you get the same testers on every test, but I think is part of community ranking within the test io crowd. Thanks to testcloud, our developers focus on doing what they love; creating, not testing. With testcloud we can be sure that our app works on all different devices and with all different software versions. Their testing services are the ideal complement for our QA department, not only improving efficiency but saving hundreds of engineering hours as well. When testcloud's testers find a bug, our engineers receive detailed insights to what causes the bug and where exactly in the app it is located. testcloud has been continually proactive and their always available customer service are happy to help. we can test the below point through this product. -Test the security -Browser and device compatibility By using this we can increase the capability of QA. Every company has different testing needs. That’s why we offer individually tailored plans that work for your team. But regardless of the package you choose, it will pay off. Below are some frequently asked questions for test IO. Q. What type of pricing plans does test IO offer? Q. 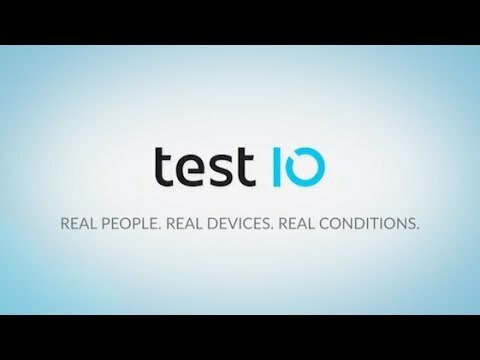 Who are the typical users of test IO? Q. What languages does test IO support? Q. Does test IO support mobile devices? Q. Does test IO offer an API? No, test IO does not have an API available. Q. What other apps does test IO integrate with? Q. What level of support does test IO offer? Q. Which apps is test IO compared to most often?